This is a short course providing a comprehensive introduction to horticulture and an ideal starting point for the complete beginner! If you are considering a career in gardening or horticulture but don't feel ready for one of the RHS examination courses, this is a good starting point. The course is also a good option for keen amateurs who would simply like to know more about gardening. It provides a gentle introduction to the key principles, with lots of practical ideas that you will be able to use day-to-day in the garden, and is also an excellent foundation for further study. This course leads to the award of an Edinburgh Garden School Level 1 Certificate in Horticulture and includes about 48 hours of study. Students have up to 12 months to complete this course, allowing them to work through the modules at their own pace.When you become a student you're assigned an expert personal tutor who you can contact at any time by email and who will work with you throughout your course. A member of our team is also available by instant chat between 9 am and 9 pm, 7 days a week, to answer any questions you might have at time to suit you. Study topics covered include: principles of horticulture; plant propagation; soils and soil cultivation; pests and diseases; and lawn care. Includes all course material, supplementary reading, and full tutorial support from an expert gardener. A great starting point for students who are new to horticulture or perhaps don't feel ready for one of the RHS examination courses. Module 1 – Understanding your Garden: soil type; local conditions; planning your site; caring for garden tools, redesigning your garden. Module 2 – Introduction to Garden Design: colour, shape and structure; planning garden borders; hard landscaping; assessing your needs; lawn care. Module 3 – Propagation: growing from seed; seed saving; successful cuttings; growing on. Module 4 – Soils and Cultivation: understanding your soil; improving your soil; fertilisers and manures; digging techniques. 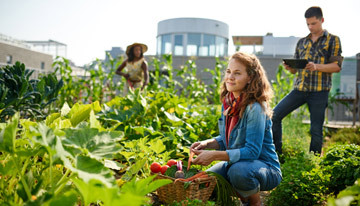 Module 5 – Growing Your Own Food: planning your vegetable patch; vegetable crops; growing soft fruit successfully; tree fruits; protected growing. Module 6 – Weeds, Pests and Diseases: weed management; identifying and managing pests and diseases; using pesticides safely; how and when to use biological controls; alternative methods of control.